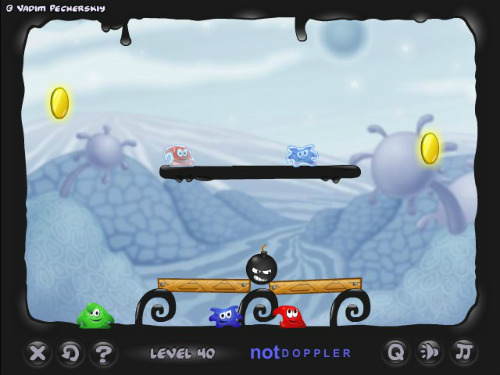 Description Physics game with liquid characters. Unique concept and super-addictive gameplay. Controls Click to select/deselect a paintball. Click anywhere to shoot. Collect all paintballs in one.